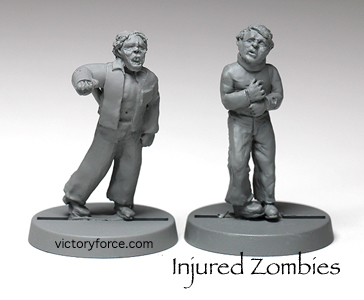 These guys had injuries that required some kind of medical apparatus applied to them before they became zombies. Now they roam the streets with these apparatuses still attached. These guys are part of the Zombie Horde II figures found in the Creatures Section of the Victory Store.